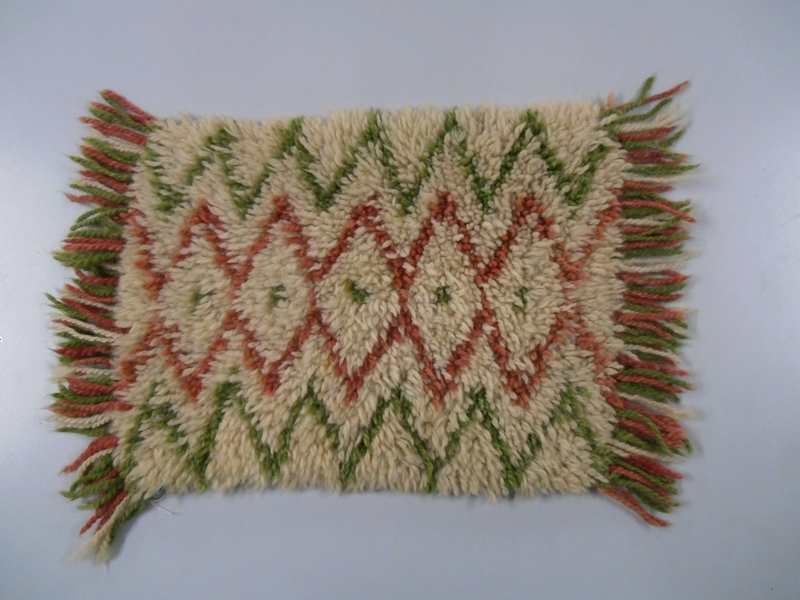 This lovely rug was knitted by Vicki, one of our members who sadly passed away recently. A few of us have had a look at the back of it, and think we may have figured out how she did it… But we’re not really sure. Vicki was an amazing knitter!